President Donald Trump approved a major disaster declaration Thursday for the state of Nebraska. 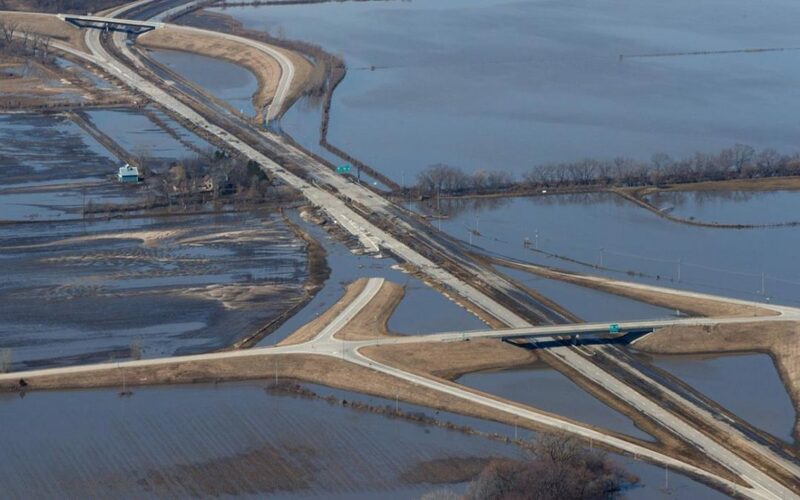 The move opens the door to federal aid to help state, tribal and local efforts to recover from the recent severe winter weather and flooding. Gov. Pete Ricketts requested the declaration, which can take weeks or months in some cases. Ricketts and the state’s entire congressional delegation had asked Trump to expedite the declaration. A White House press release said the action will make federal funding available to individuals affected by the storm in the following counties: Butler, Cass, Colfax, Dodge, Douglas, Nemaha, Sarpy, Saunders and Washington. In addition, federal funding is available on a cost-sharing basis for hazard mitigation measures statewide. And funding is available for emergency work in the following counties: Adams, Antelope, Blaine, Boone, Box Butte, Boyd, Brown, Buffalo, Burt, Butler, Cass, Cedar, Cherry, Colfax, Cuming, Custer, Dakota, Dixon, Dodge, Douglas, Fillmore, Frontier, Furnas, Gage, Garfield, Gosper, Greeley, Hall, Harlan, Holt, Howard, Jefferson, Johnson, Keya Paha, Knox, Lancaster, Lincoln, Logan, Loup, Madison, Merrick, Morrill, Nance, Nemaha, Nuckolls, Otoe, Pawnee, Pierce, Platte, Richardson, Rock, Saline, Sarpy, Saunders, Scotts Bluff, Seward, Sherman, Stanton, Thayer, Thurston, Valley, Washington, Wayne, Wheeler, and York. Also covered are the Santee Sioux Nation, Ponca Tribe of Nebraska, Omaha Tribe of Nebraska, Sac and Fox and Winnebago Tribe.